This sweet 14K rose gold free formed heart ring from Apples of Gold Jewelry can be worn for a variety of occasions, or even just every day! The ring adds some sophistication with the stunning design, which features the ends of the band of the ring meeting and reaching up to form a freeform heart. The 14K rose gold adds a soft, sweet pink hue to this ring, which will have you falling in love with the overall beauty of this uniquely designed jewelry piece! 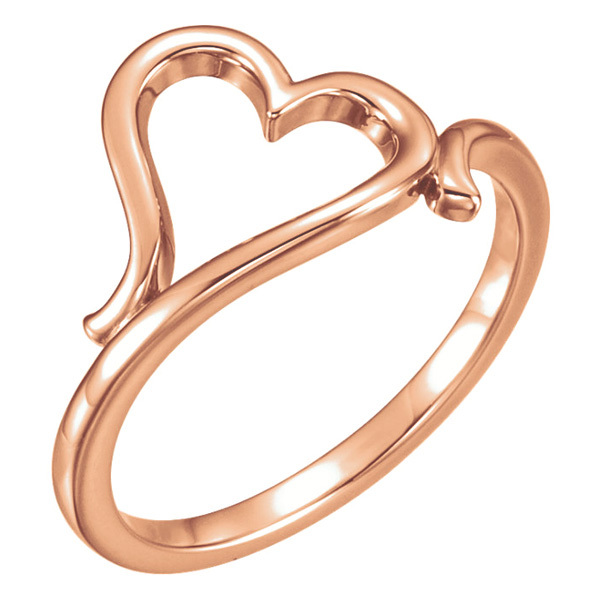 We guarantee our 14K Rose Gold Free Formed Heart Ring to be high quality, authentic jewelry, as described above.